Where Art Thou, Hansa Rostock? You are here: Home » Around the World » Where Art Thou, Hansa Rostock? There are currently no clubs from the former G.D.R. playing Bundesliga football. An entire part of the country, 13 million inhabitants, have to do without a team in Germany’s first tier, the Bundesliga. After Germany’s reunification East German teams struggled to compete with their rivals from the West. The best players, the likes of Mathias Sammer and Ulf Kirsten, all left for higher pay checks and greener pastures in the West. However, there was one team that bucked the trend, and managed to cope with fewer resources and keep its place in the Bundesliga for a long time: Hansa Rostock. 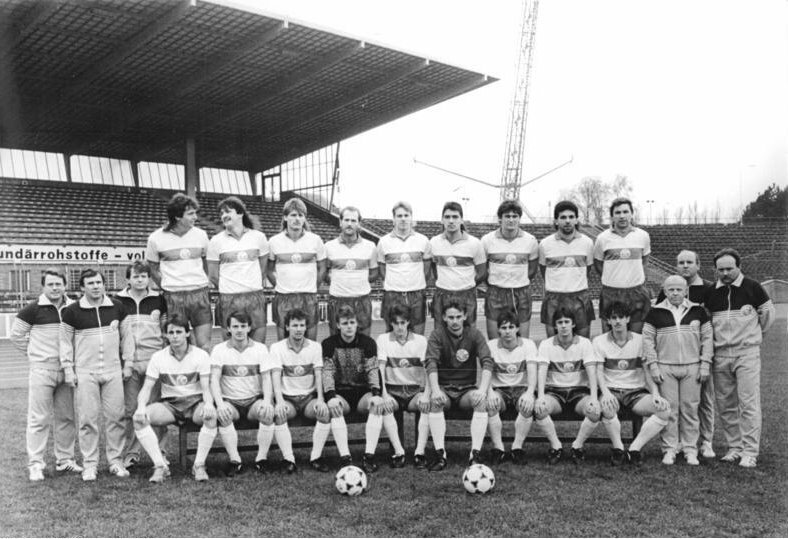 As the last club to win the East German championship, Rostock were granted a place in the Bundesliga for the 91/92 season. The first time around the club from the northeast had to deal with their best players leaving the club. The inevitable happened, Hansa were relegated, and most people thought that they wouldn’t return to the Bundesliga for some time. The 94/95 season saw Rostock making a surprising return to the Bundesliga. The team around the new signing Stefan Beinlich had started into the 2. Bundesliga season without any ambitions to get promoted. However, coach Frank Pagelsdorf managed to create a team that bulldozed its way through the 2. Bundesliga, and at the end of the season Hansa topped the table to everybody’s surprise. From 1995 to 2005 Rostock managed to keep their place in the Bundesliga. Being the only East-German club in the highest tier of German football, Hansa had to represent an entire part of the country for a long time (Energie Cottbus managed to get promoted to the Bundesliga as well a little later, and for some seasons 2 teams from East Germany graced the Bundesliga). Reaching the 6th place two times in those ten years, Hansa managed to make a couple of appreances in Europe. Hansa managed to stay in the Bundesliga, year after year, despite their scarce resources. While never really attacking at the top, Hansa always managed to avoid relegation towards the end of each season. Along the way, Hansa managed to find a number of great players who would later on go on to make a huge impact at bigger Bundesliga sides. Amongst them were Marko Rehmer and Oliver Neuville, who would become influential players for the German national team in the late 90s and early 00s. With Pagelsedorf, and who was later replaced by that frantic note-taker Ewald Lienen, Hansa tried to play an attacking kind of football. After finishing 6th under Lienen, Hansa’s attacking gusto was rewarded by most German footballers: A survey undertaken by the German football publication Kicker in 1998 found that professional footballers in Germany thought that Hansa was playing the most attractive football in the league that season. An initial run of bad results saw Lienen leave the club, and with him the attacking football went away. From 98/99 and until their relegation in 04/05 Hansa played a more defensive minded, negative football. 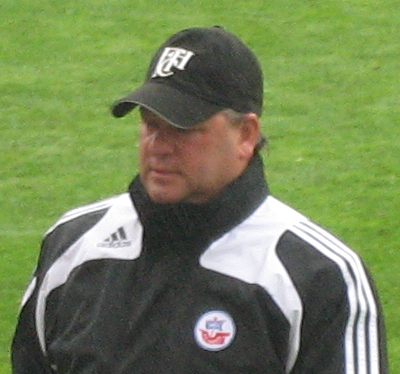 The team managed only once to produce as many goals as under Lienen after he had left(03/04 season). Hansa started scouting most of their players in the relatively cheaper, and neighboring, markets of Scandinavia. The East-Germans had at one point 7 Swedes, and 3 Danes on their roster. Their most valuable players, amongst them national team prospects Oliver Neuville and Marko Rehmer, had to be sold due to the dire economical situation the club found itself in. With their departure the beautiful game died, and the side focused on being an unglamorous defensive side for their rest of their stay in Germany’s top flight. In the end, the scarce resources, and the reality of the brutal football business caught up with Hansa. In the 04/05 season Hansa simply didn’t manage to get off the mark, and their 8 successive home losses at the beginning of the season constituted a new negative record in Bundesliga history. After all the 34 games of the 04/05 were played, Hansa were relegated with 18 of their games lost. After two years in the 2. Bundesliga the team from North-East Germany managed to return to the Bundesliga for one more season, but were relegated after another poor showing. With this run of unstable results, financial problems followed for the former icons from the east, and Hansa were unable to form a potent team after they were relegated from the Bundesliga for the third time. However, the hammer blow that followed in the 09/10 season was a hard pill to swallow for all Hansa fans: After a bad start to their 2. 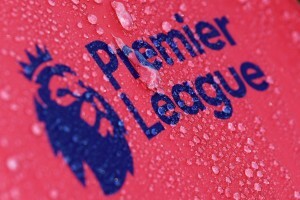 Bundesliga campaign, the team found itself in the loathed play-off spot at the end of the season. Playing for their existence in Germany’s second highest tier, the team didn’t manage to defeat Ingolstadt from the third tier. Hansa have now almost managed to get back into Germany’s second highest tier. One point in the last four matches of the season will guarantee the former champions of the G.D.R. a return to 2. Bundesliga football. With former star player Stefan Beinlich turned sporting director, the club is now aiming at establishing itself in the 2. Bundesliga, and stay there for the next few years. Hansa will join three other East German sides: Erzgebirge Aue, Energie Cottbus and Union Berlin. Besides Energie Cottbus, none of these sides have any experience from the Bundesliga. The brain drain that lured the best players away from East-German football back in the 90s, seems still to have an massive impact on German football today. Next year four East German sides might have the chance to bag the two coveted promotion places in the 2. Bundesliga, and the pressure is high, with 13 million people anxiously awaiting a return to the highest tier of German football. For Rostock’s cause is not just that of any other club, but a reflection of an entire people’s desire to reclaim their rightful place on the grandest of national stages.